Whenever a soldier is told to act by a senior commanding officer, he goes ahead without turning back straight to accomplish all and even a little extra of what he has been told to do. He doesn’t go back time and time again asking for permission when he knows that he has been given the right to act on his commanding officer’s behalf. Worse still, he doesn’t go begging his commanding officer to do what he has been given the right to do. As Christians, we also have been given the privilege to act. One area I always feel amazed is in respect of the devil and his agents. This always seems to generate so much attention each time it is mentioned. No matter how sweet the plea may be, the truth is he left us on the scenes to act on his behalf. Today, take a look at the prayers of Paul when they faced the devil and his cohorts. The wordrebuked is derived from a word in the original Greek that means to forbid, warn strictly, or to censure. Now see what it means to tell God come and warn the devil. This is not right. I have always wondered when he had such time when Paul said ‘I pray in tongues more than ye all.’ (1 Corinthians 14:18). I work in an environment that entails we start a conversation no matter how gloomy the client or offensive he may seem. I mean we must just start a conversation. I must be frank that despite all the skills in communicating with a client, I am many times far in a conversation before recalling some. Can’t recall ever being so conscious of communication skills when discussing with my dad or my sister or say my mom. So also should it be with God. He desires we break down the boundaries we have created with our own hands and simply converse as father to son/daughter. In spite of the awesomeness of our God he has broken boundaries through Christ Jesus to bring us closer than we can imagine. No tasking routine; no need for an environment or atmosphere, for He is greater and more real to us than all the effects we put in place. Reminds me of a kid doing all he could to prepare for the arrival of his dad but never realizing his father had all the while been watching closely. I really want to bask more in the reality of sonship. I sometimes have to pinch myself and read the scriptures again to remind myself that it is that simple. Before I am through with the preparations to pray he is there already as always. Before I am through dwelling on what phrase to start with He is with me already as always. He says again that ‘it is in him we live, and move, and have our being’. He is the same person who says this is how we know that we are in Him and He in us; by His spirit which He has given unto us. An ever- present reality that cannot be changed by times, season, our mood or our wishes. Let’s enjoy this for it is truly a delight. One of the verses of scriptures that thrilled me most while growing up as a young Christian is John 1: 12-13 ‘However, to all who received him, to those believing in his name, he gave authority to become God’s children, who were born, not merely in a physical sense, or from a fleshly impulse, or from man’s desire, but of God’ (ISV). I could not just get over this scripture. Since then, it never stopped ringing in my subconscious that I was given such right freely. As I kept pondering over this scripture then, it dawned upon me that if I am authorized to be God’s child, it therefore means that I have been given the mandate to act on His behalf; as some would say, like father like son. Using the relationship that we have with our biological parents as an example, you do not need to be told that you can act on behalf of your father; you easily find yourself doing it. It therefore means that I can act in His capacity. Simply put, I am an heir to my father. I can speak, command, demand, reject, resist, control, etc like my father does. It doesn’t matter if I am still a kid growing up or already a full grown man. The fact remains that once a child, ever a child, I have been born already. While growing up as a child, I might not know so much about what I have got but it does not change the fact of what I have. Though it may take me time to realize the potentials, abilities and privileges because of my level of maturity, it does not change the fact that I am my father’s child. Jesus said, as my father works so I work. My father and I are one. Whatsoever I see my father do, I do. Amazingly, Jesus never equated Himself with God before the Jews, but they interpreted his statement of referring to God as His father to mean equality with God. We are sons of God, heirs to the throne and have supernatural abilities embedded in our lives. In the days of Jesus, people around him could not get over simple statements that changed various tides such as: ‘Peace, be still’; ‘Be thou made whole’; ‘Thy faith has healed you’; ‘Your sins are forgiven’; ‘Ephrata …, be opened’; ‘Lazarus come out’; etc. He doesn’t get jittery when suddenly called upon to rescue a situation. Knowing so well that He who lives in him is greater than he who lives in the world, he speaks to stormy seas with an ease of command tone. He acts with confidence. He is undisturbed about seemingly unachievable task, but always resolute about the inherent abilities that he has received of God. He is convinced that he is a solution going somewhere to happen. However how long it may take to prevail over people’s doubt and faithlessness, he remains firm and fully convinced that the tide must change. He sees every challenge and difficulty as a means to prove God’s sovereignty over all things. Rather than attest to the reality on ground, you should affirm the supernatural abilities of God’s power to transform every given situation. Another wonderful trait of an authorized man is that, he must always complete every assignment at every given time and make sure there is no stone left unturned. Jesus in John 11: 44 instructed that the linen cloth be unwrapped from Lazarus body. His words were instructive and informing; ‘… loose him and let him go’. It shows that he was not willing to give room for chances so he capped it with freeing him completely after being raised from the dead. When the leprous man was healed in Matthew 8:3-4, he told him to go and show himself to the priest and offer gifts commanded. This will serve as testimony and path way to societal freedom and acceptance. But friends, remember that these things do not just happen except you have given yourself over to a continuous prayer lifestyle. By so doing, you are guaranteed a medium of obtaining depth of understanding during study of scriptures and more confidence is built in your abilities in God. Much as I have heard wonderful things that manifested after praise and thanksgiving session, I have also witnessed some with my very eyes. Sometimes the experiences are unbelievable. Though in most cases, people are found subsequently attributing the great feat to their personal efforts, thereby consciously or unconsciously making attempt to down play the main reason for the miraculous performance. 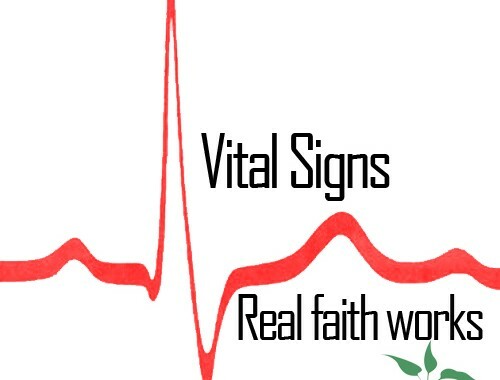 Once you have scaled the hurdle of affirming the veracity and authenticity of God’s ability to turn around any situation (as discussed in the two previous articles of this series), you have withstood the challenge of distraction and discouragement. Now is the time to turn from people and their doubts and focus on God who holds the key to unlock miracles. Your attention should strictly be to see the manifestation that transcends the norm. At this juncture, you can’t afford to ignore the fact that the surest way is to concentrate on making your supplications and request known to him with thanksgiving (Philippians 4:6).‘By him therefore let us offer the sacrifice of praise to God continually, that is, the fruit of ourlips giving thanks to his name’ (Hebrews 13: 15). Praise is an act that is long tested and proven to yield amazing results. In John 11:41, Jesus exhibited the power inherent in thanksgiving. ‘So they took away the stone. And Jesus, looking up to heaven, said, Father, I give praise to you for hearing me’ (BBE). Offering thanks and praise to God could be as simple as He said it. After Jesus gave thanks over 2 fish and 5 loaves, the multiples fed in thousands were overwhelming. Fundamentally, praise offered to God must stem from a faith-filled heart. ‘But without faith it is impossible to please him: for he that cometh to God must believe that he is, and that he is a rewarder of them that diligently seek him’ (Hebrews 6: 11). Faith is the triggering force that praise acts upon. Without it you may be acting like a man who intends to build a castle without a foundation which it can stand on. After executing the seven days order, the Israelites capped the pulling down of Jericho walls with the shout of praise. With faith in God, Paul and Silas preoccupied themselves in prison with prayers and praises to God. At the event of this, scriptures recorded that there was an earthquake and the prison gates flung opened and their chains broke. Through praise, the depths are broken, gates are opened, revelations are obtained, visions are understood, and testimonies abound. Within the tribes of the Israelites, the Levites were skilled in playing various musical instruments and offering praise to God. In some battles fought or while conveying the ark of covenant, they sang praises ahead of the ark or sometimes ahead of the army. Perhaps, this was God’s way of showing that it is an integral part of exceptional results. It does not matter in what form, how, or where you carry it out, what is most important is that you should make a habit to give thanks to God even in the face of great challenges. Such an act has done great and marvelous things and history can always repeat itself in newer dimensions. You may sound very foolish and stupid before people when you do it, but remember that God used the foolish things of this world to confound the wise. Reality may suggest you spend time thinking, crying, wailing, lamenting, complaining, or doubting. Faith on the other hand, insists that all things are possible to him that believes. For the expectation of the righteous shall not be cut short. Faith sings, praises, and appreciates God when reality is busy weeping. Faith patiently waits to see miraculous manifestation of thanksgiving, while reality on the other hand, quickly suggests that we should dismiss the possibility of change. I remember someone once told me that a bird can only fly with what it has swallowed. It is impossible for a bird to fly with what it is hoping to pick up along the way. It is what a man has that he gives; likewise, man only acts upon what is within his scope. Once it is beyond his scope of understanding, it most likely has eluded him. The more informed you are about a given situation the better your actions will be. Why do you think when companies are recruiting they require certain years of experience? The reason is simple- the more experienced the person is, the better and faster the job will be done. In addition, it will take off the cost of training the individual for a start. Also, while on the job it is the same experience that will keep you on the track of effectiveness and prompt delivery. What then is experience or how is it acquired? Simply put, it is the accumulation of knowledge or skill that results from direct participation in events or activities. Without knowledge, opportunities will be squandered and abuse definitely inevitable. It was the level of Jesus’ knowledge about His rights, abilities, and mission that stood him out. It was same knowledge that afforded him outstanding performances when confronted with issues. He knew He had the authority and power from God to raise the dead. 1) John 9:4; He knew He had to work hard at the assignment handed over to Him by the Father while it is day because the night was coming when no man will be able to work. So while going about, He had the mind of mission. He was duty bound in all that He did to the extent that He prepared ahead. As Christians, we are duty bound to solve the world’s problems. We should be an embodiment of solutions anywhere we find ourselves. Remember, we have been given the ministry of reconciliation; reconciling the world back to God. Interestingly, there is no way we would go about reconciling the world back to God without introducing them to the entire package that is in redemption; Life, Righteousness, Healing, Fruitfulness, etc. 3) Lastly, he proudly displayed His level of knowledge by informing His tempter of the details in the written Word, when he was tempted in the wilderness. A closer look at John chapter 11 earlier discussed in the introductory article, indicates Jesus’ authoritative response in verse 4 to information relayed in verse 3. He stated that the sickness was not unto death but for the glory of God, that the Son of God might be glorified. I won’t be surprised to discover that he had the wind of the incident while praying prior to that moment, since he was regularly given to prayers. He had a ready answer for every given situation brought to His notice. He knew right from time that He had the power of life. This same mindset propelled Him to call Lazarus’ death a sleep in verse 11. Though He was still not informed that Lazarus had died, He must have perceived it in the spirit. Friends, these things do not just happen by chance but by giving oneself over to much prayer. However, the battle of Jesus gaining access to Lazarus was still not over. He encountered obstacles on his way such as: the four day old dead body, the weeping sympathizers, the faithlessness and doubtful insistence of Martha and Mary, the sealed tomb, etc. Nevertheless, Jesus persisted in reiterating the fact that he is the resurrection and the life; though Lazarus was dead, he will live again. Friends, contrary realities and circumstances will always attempt to prevail over our situations; we need to take a firm stand like Jesus did. Instead of getting discouraged or defeated with the reality and factual statements made by Martha and Mary, Jesus took charge and said to her, “Didn’t I tell you that you would see God’s glory if you believed?”Verse: 40. Being filled with knowledge puts us at the edge of trailing the blaze. Most times, such knowledge should motivate us to take out time to pray. Praying could be as simple as that of Martha and Mary. They simply prayed Jesus to come because their brother was sick. It could also be as simple as saying that ‘even now, whatsoever thou will ask of God, God will give it thee’. We need to affirm our conviction. No wavering or compromising even in the face of reality. The reality may be like it was said of Lazarus that he should be stinking by now but you need to affirm your control over it like Jesus did. At some cross roads in life, prevailing circumstances may not have been fair to some of us; the severity of it in some cases propels us to speak or act contrary to our proclaimed and affirmed belief. For example, you sometimes might have said ‘I am the healed of the Lord …, diseases ain’t got any place here’, or ‘that Job/contract is mine’; but you thereafter discovered aches all over your body or eventually realized that your arch rival was favored in the award of the much expected contract. In such situations, how do you react? “I usually …” – Did I just hear you mutter some words? Well, don’t be too quick to answer; so many people have similarly experienced one thing or the other, even the patriarchs had their share of contrary circumstances. Let’s take a look at your one time experience in the light of bible precedence. Here is Martha’s encounter with Jesus in John 11:21-22: “Martha said to Jesus, If you had been here, Lord, my brother would not have died! But I know that even now God will give you whatever you ask him for” (GNB). One would have thought that Martha was as convinced about the situation as her statement suggested; she seemed to be of strong faith that Jesus had all it takes to transform the situation for good. But Martha’s statement later appeared to be a mere lip service without a heart conviction. In verse 24 of same chapter, Martha demonstrated her belief that her brother Lazarus will rise again at resurrection but not at that moment referred to by Jesus. Like some of us do when confronted with the reality of a circumstance, despite the fact that there is an element of possibility (though arduous) flashing somewhere, we attest to the miraculous just for the sake of it without expecting anything spectacular. Furthermore, Jesus said to Martha, I am the resurrection and Life and those who believe in me though were dead, shall live again. ‘Do you believe this?’ she quickly said ‘I believe’, verses 25 & 26. But her next action in attempting to stop the opening of Lazarus’ tomb showed she may have just spoken without fully grasping the imlications of her proclaimed faith. For example, she tried to stop the opening of Lazarus tomb by stating the fact that he had been dead for four days and should be stinking by now. Such statement should have deterred Jesus from insisting that the tomb be opened, but He maintained his conviction. Have you ever found yourself in a similar case, where reality stares you in the face? Have you ever tagged some things unachievable, because you have facts and figures at your disposal? Perhaps, it may be interesting to take a quick look at those who fought reality to a standstill with their faith. Though the mountains that came their way appeared insurmountable, they rose above the world-defined norms and achieved extraordinary results. I challenge you to rise above reality and unleash your abilities in the kingdom you belong to; supernatural happenings are the norm here! Psalms and Strings, the unavoidable duo. Till then remember that for with men it may be impossible, but with God, NOTHING shall be impossible. Upon seeing the inscription “Military Zone” at any place, even before reading the concluding part, our intuitive reasoning mutters “Keep off”. To some of us, Military Zone means ‘Dangerous Zone’, while to some others; it means a “no go” area or impossible area to reach. Only very few of us pause to question why such a location which possibly is cited outside a military barracks should have an inscription meant to scare people away. Similarly, there are some issues or ideas that we have consciously or otherwise branded “Military Zones”. 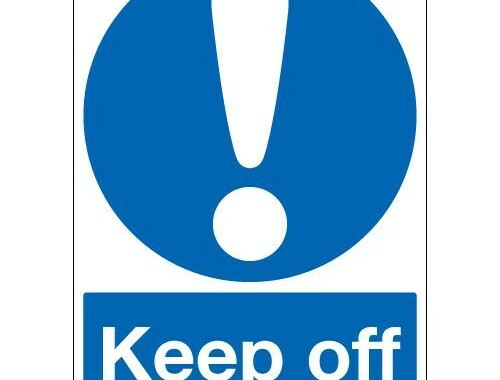 Most times, we get so informed and knowledgeable about them to the point where we inscribe on our hearts; “keep off”. This has lingered on for a while and we have neglected the possible option of probing or inquiring why they have been so branded. For example, in prayers, there are some myths commonly believed and adhered to which have greatly hindered effectiveness in prayers and short changed peoples prayer lifestyle. These myths have similar rhythms in our hearts to that of ‘Military Zone, Keep off’. As a result of this, our prayer lives have been stagnated, and questioning the status quo seems to be an insurmountable mountain. Let’s take a quick look at some commonly believed “Prayer Myths” and assess their truthfulness. It is commonly reported that due to the fact that God is in the heavens above and we are on earth, it is imperative that when we pray, we must intensify effort so that our prayers can go beyond the third heavens and reach God. Much as scriptures also admonishes us to pray intensively/earnestly, it was not with the intention of having our prayers penetrate heaven. We should not forget the fact that God is a Spirit and they that must reach Him will have to do that in Spirit and in truth (John 4:24). Also, He resides in us through His Spirit. “Know ye not that ye are the temple of God, andthat the Spirit of God dwelleth in you?” (Corinthians 6:16). In the spirit realm where our prayers are channeled through, there is no distance. God’s presence is always with us and He immediately hears our petitions. Another good reason purportedly given is that the world population is over 6 billion and it has become increasingly difficult to gain God’s attention when we pray. As a matter of fact, God can get loaded with simultaneous prayers that He may be partial in giving them order of preference. Therefore, we would have to adopt measures like early morning rise from our beds so that we can pray before others wake up, or we map out strategic periods that seems as though most people are not praying so that we can specially draw God’s attention. Honestly, all these assertions can only be true if God were to be a man, but God is not. He is a Spirit, so human reasoning of handling simultaneous things does not apply to Him. Furthermore, His ways are not our ways, and His thoughts are not our thoughts. As the heavens are far from the earth so are His thoughts from ours (Isaiah 55:8). Have you ever asked yourself the question, what if everyone wakes up at the same early time, will it not amount to the same thing? In addition, while a particular country or continent may be asleep, some other countries or continents may be awake. It means there could still be interference. Amazingly, God does not need some people to be asleep so that others can be awake so as to be able to effectively attend to our prayers. He is Omnipresent. The world vast population is not a problem to Him. He is the creator of everything that is in existence. I have often heard people say that tears either during prayers or not draw God’s attention. Therefore, when people pray, some out of genuine spiritual move shed tears, while some others force tears to come out because they want God to be pitifully moved about their situation. This may sound very hard, but it is the truth. God is not moved by anyone’s tears. Tears are characteristics of human frailty. There are so many other factors that can attract God’s mercy upon an individual like a genuine repentant heart not tears. Always remember that God constantly looks at the intention of your heart and not the tears of your face. One other myth commonly believed in Christendom is that prayer of agreement is stronger than prayer of an individual i.e. offered independently. There is no scriptural revelation that the prayer of two or more people is stronger than that of one person. In fact scriptures reveals that the effectual prayer of a righteous man avail much (James 5:16). Much as bible reveals that whatsoever is bound in heaven is bound on earth…where two or more are gathered in my name there I am in their midst, we also have a confirmation in scriptures that God permanently lives within a believer through His Spirit. The effectual prayer of an individual is as strong as that of two or more people. If only we passionately pray like Isaiah did, we can achieve more than stopping rain for three and half years. Rise above these “Military Zone, Keep off” thoughts and pray like you have never prayed before. Pray anywhere and anytime. We are admonished to pray without ceasing, which means continuously. Some years ago, just before I was called up to compulsorily serve my nation for one year under the NYSC (National Youth Service Corp) scheme; I had series of experiences which I rashly concluded from. A lot of them relate to efforts made in keeping up the heat of my Christian faith just like it was back then in school. In two different circumstances, I can recollect that I got so easily tired when I returned from work; still I endeavored to religiously look at some pages of the bible and equally prayed. As the norm was, electrical power outage in the evenings made me put on candles to light the room each time I got home; but on several occasions I slept off either while reading, just finishing, or yet praying. At the point of switching into the snoring mood before being transported to dream land, I surprisingly felt the tap of someone and spontaneously responded by waking up. Thereafter, I discovered the candles were completely burnt, and the coconut shell they were placed on was also burnt; while the heat also had imprinted marks on the carpet through the coconut shell. In all these experiences, I got so amazed why the carpet and the room did not burn. Honestly, if I did not experience it and someone told me of the story, I probably would not have believed it but concluded it as one of those cooked up stories for testimonies. Most experiences I have heard of, those involved never had the opportunity of being alive to tell the story. Sincerely speaking, it got me thinking and I remember saying to myself that “there was more to my life”. However, I recently realized that it wasn’t just that but there is indeed a power at work within the believer that sees him through every circumstance. Sincerely speaking, there is actually more to the life of the believer as confirmed in the bible… we have been called according to purpose. I now fully understand why and how such events like that actually happened. Lately in a related development, precisely some weeks ago, I hurriedly made use of the pressing iron while rushing out of the house to work. Unknowingly, I forgot to put off the switch when I was through. It was actually left on throughout the whole day till I returned from work. Coincidentally, on my way back from work that evening, I discovered that there was an inexpressible joy within me; I actually got the feel right. As I walked through the gate into the house, I danced and sang hymns that I sang last some years ago. Deep down within me, I asked what could be responsible for this. While still attempting to unravel the mystery behind my sudden ecstasy, I opened the entrance door and straightaway perceived the smell of a pressing iron that was long in use. In a swift move, I ran to where it was placed as if that could save the situation that event could have possibly taken advantage of before my arrival. I knew that the pressing iron would have probably being on for almost the whole day. As I sat to think over this, it occurred to me why I was in such a joyful mood, and equally remembered that the previous three consecutive nights it was like someone has been waking me up in the midnight to pray. Normally because of tiredness resulting from work, I do not stay too long in the night to pray except on a weekend but I realized that during those nights, once I obey the nudge, I receive an unusual strength to pray for a longer period. It can not be denied that the move to pray the previous nights was to avert the pending hazard; even some other ones I am not aware of elsewhere that may involve friends, well wishers or family members. Such nights are nights I use in praying very well in the spirit. As a result of this recent event, I immediately recollected that the experiences mentioned earlier i.e. 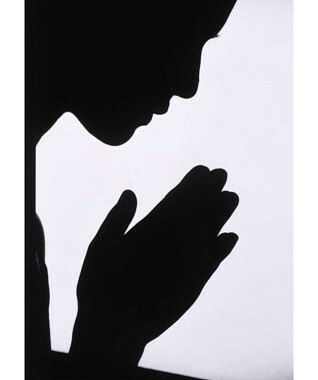 before my service year (NYSC), there were several times I had the nudge to rise and pray in the night, though obedience was not total in all those nights. I therefore reconfirmed that it was needful for us to be aware that the Holy Spirit residing in us through our spirit recreated after God’s own is actually at work and never sleeping even when we are. He never leaves when we have disobeyed him but our consciences think so sometime. He is truly a friend indeed and in need. The next time you are woken up in the night take advantage of it to pray. Who knows what you could be addressing in the spirit realm. 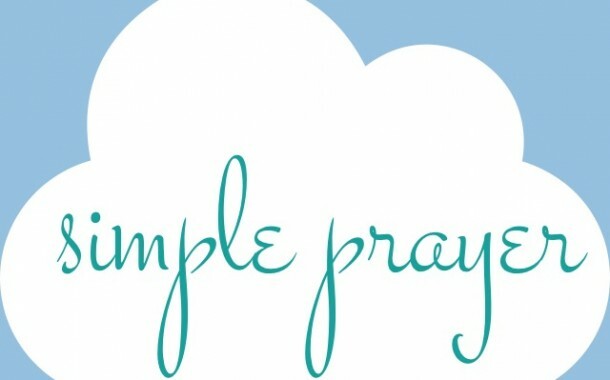 It is quite understandable why many of us have a little challenge in spending time to pray. The demanding nature of work, coupled with many other distracting things that calls for our attention like entertainment shows on TV, family responsibilities, time limit, amongst many others are all legitimately responsible. Most times when we take out time to communicate with God it appears to be when there is a problem perhaps resulting from a threat, conflict, needs, etc. Ranking top on the list is ‘needs’. For some others, why we spend time to pray is for a smooth sail of the day, or thanks to God for something done. Bottom line, pockets of motivation and especially external ones are responsible for 90% of time we spend praying. It was discovered that once these motivations are out of it, we seem to get easily disinclined to pray. At such time, we end up reciting the Lord’s Prayer of Matthew 6:10, and Luke 11:2. We need not be motivated or put on our heels like we are for our jobs with pay perks and promotions. I studied the motivation behind Christ death for humanity, perhaps there are some hidden reasons aside the ones I know. I discovered that the motivation is still love, which as many as will accept it will be translated from eternal condemnation to life, and equally worship him eternally. Interestingly, that worship refers to having a feeling of profound love and admiration for Him. Beyond these motivations that we occasionally experience, there is a fundamental lifestyle expected of us to express; it is our Agapao (Love) life. Love saw us in the miry clay, brought us out and set our feet on the rock to stand. Love gave us a new name and filled our lives with that very nature of God (Love). If our lives consist of this, it is therefore natural for us to express it. A rose expresses its nature which is its beauty and fragrance. A parrot expresses its nature which is talking. We are love beings let us express it. It is not in mouth proclamation or expression of carnal lust, but in duties and responsibilities. Love took Christ to the cross and earned him a sit at the right hand of God interceding for us (Romans 8: 34). Love should make us be appreciative of these gestures and live up to our responsibilities. Paul in Romans 15: 30-32, entreated the believers at Rome to strive together with him in prayers for Christ sake and the love of the Spirit. Friends let us gain mastery over all forms of distraction that will not count before God when we are giving account of our lives spent here on earth. Let’s minimize their influence in discharging our duties towards the body of Christ. For Christ sake and the love of the Spirit, I charge us to spend time relating with God in prayers. Start enjoying your privileges now! Catherine Kuhlman was a woman who was mightily used of God in her time with many outstanding miracles. It was reported that over 200 people stood up from wheel chairs at the same time in one of her revival meetings. There was a particular controversial trait that was noticed in her. It was discovered that her lips were always moving as though she was always muttering some words even when she was walking or all alone. When she was asked why she is always fond of that, she said that she is always praying in other tongues and that is the secret of her outstanding Christian success. I once read of a man who traveled to a town and lodged in a hotel room. After sometime, he began to pray and in his words; he spent time praying in other tongues. Some few hours later when he got out of his hotel room, he was shocked to hear that a baby just came back to life within the same hotel premises. This baby belongs to a woman who also lodged in the hotel but suddenly found out that there was no more life in her child. After she raised an alarm, people around implored all medical skills to raise the baby to life but it was to no avail. Just after it was concluded that nothing else could be done, the baby came back to life. The man who was in another room never knew that raising of the dead child was one of the issues he was moved in the spirit to address. There is this experience that took place in the days of my high school that I can never forget. In the early morning hours of the day, a lady was challenged by another student who accused her of halting their operations the previous night. Though she was astonished by such accusation but when asked what she did during the night, she replied and said she can’t remember except that she was moved by the Spirit to pray in other tongues. Friends I encourage you to keep strong in this Christian faith of ours and make good success of it. There are so many testimonies that can be shared but I desire that you will also share yours next. Pray in other tongues anywhere, anytime, and in any posture. When driving, walking, meditating, about to seal a contract, bathing, etc. pray and pray very well in other tongues. It is a privilege and honor accorded us by God. 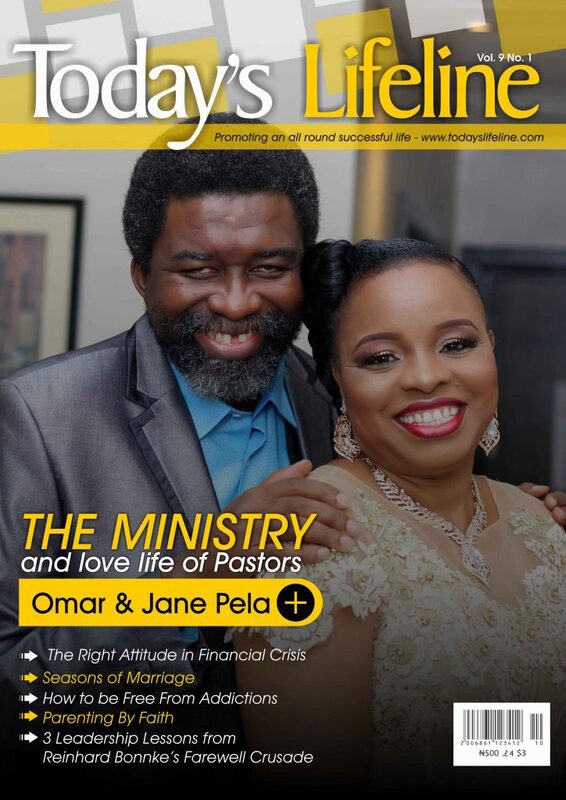 This edition brings to you the unique story of Pastors Omar and Jane Pela, their love for each other and their contagious love for God which has blossomed into an impactful ministry in House of Grace Church. They model a couple who have stood the test of time in marriage, ministry and parenting. Omar Akpona and Jane Amenaghawon Pela are the Senior Pastors of House of Grace Church, Lagos, Nigeria. Pastor Omar is a man whose mission is to transform lives with the loving power of God- a man defined by his service to God and commitment to building lives. He is driven by the desire to help people become all they can be in God. Pastor Jane is a teacher, worship leader, and inspirational songwriter. As you read from page to page, you’d discover a plethora of insightful knowledge within every article.